© ® The Nobel Foundation. Say the words Nobel Prize, and you need say no more. 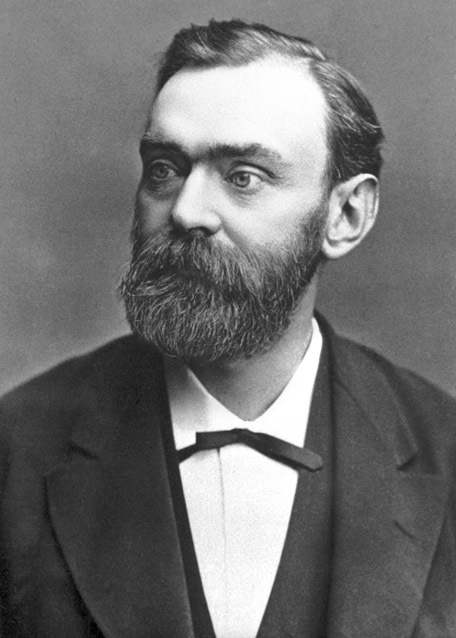 Created by the last will and testament of Swedish industrialist Alfred Nobel upon his death on December 10, 1896, it is arguably the most prestigious award in the world, signifying the apex of achievement by laureates in a variety of fields. In keeping with tradition since the first Nobels were bestowed in 1901, this year’s medals were presented once again on December 10, the anniversary of Nobel’s death. Why is the Nobel Prize a prime example of a corporate heritage brand? Harvard Business School professor emeritus Stephen A. Greyser and Professor Mats Urde of Sweden’s Lund University have spent the past four years finding out. What is a heritage brand? Greyser: It’s important first of all to understand the difference between history and heritage. A brand can call attention to the fact that it was founded long ago, perhaps with a slogan such as “Established in1822.” That’s a brand with history. That’s not the same as a heritage brand—a concept that Mats and I created with Prof. John Balmer of England’s Brunel University after doing extensive field research on the branding of several western European constitutional monarchies. A heritage brand makes its heritage part of its positioning for the marketplace and other stakeholders. The elements of a heritage brand include not only history but the core values that have made it great, a track record, longevity, the use of symbols, and very important, a dedication to the stewardship of a brand that was created in the past, continues to thrive in the present, and plans to continue to be great in the future. All brands have a history, but few brands qualify as heritage brands according to our criteria. Urde: To elaborate on the use of symbols by a heritage brand such as the Nobel Prize, we saw many connected to the December 10 award presentation ceremony. These include the gold medal and citation given to each recipient, the presence of the Swedish monarch, and the flower decorations, which are always flown in from Sanremo, the city in Italy where Alfred Nobel died. As Stephen indicated, heritage brands live in three time zones—past, present, and future. This requires an organization whose members understand that the brand is bigger than they are, that they are a link in the chain, with an obligation to leave an even stronger brand to the next generation. So heritage is not only about how long a brand has been around; it is a combination of these different aspects that actually make a heritage brand different. What are some other heritage brands? Urde: Patek Philippe comes immediately to mind, with its slogan “You never actually own a Patek Philippe [watch]. You merely look after it for the next generation.” Tag Heuer, on the other hand, although it has been selling its watches for a long time, has decided not to focus on heritage as part of its value proposition. Another example is Absolut vodka. While they emphasize that they’ve been around for many years, they also make sure that they are perceived as contemporary by having famous artists interpret their bottle. This is an example of how a company can activate the heritage in its identity and reputation while being extremely up to date. You cannot copy heritage. You have it or you don’t. In today’s online environment, authenticity, craftsmanship, prestige, and sometimes luxury are strong selling points. Greyser: I would add as a heritage brand the clothing manufacturer and retailer Burberry, which was founded in 1856. One might also want to think about Nike as a newer addition to the portfolio. Over the years, they’ve had some issues with their core values regarding the likes of labor and sustainability, but they’ve addressed them. They have a strong record of performance and use symbols very effectively. All that customers have to see is the swoosh, and they know they’re dealing with Nike. Why did you decide to focus on the Nobel Prize? Greyser: It came out of our extensive research on European monarchies, including field work at the palace of the Swedish royal family, which has been on the throne for centuries. That led to our thinking about other organizations that fit the heritage model. We also wanted to find a topic that hadn’t been the subject of anybody else’s research. Urde: The Nobel Prize, which is a group of six awards, was a perfect fit for us. Established by the will of Alfred Nobel for “the benefit of mankind,” a phrase that is the essence and promise of the brand, the Prize has been around since 1901 and has become one of the most prestigious awards in the world. Our goal was to explore, explain, and describe this from a brand management point of view. Greyser: The Prize’s core values of discovery, excellence, and engagement for higher ideals as bulwarks of the brand’s identify were very appealing and important to us. The status and significance of the discoveries and achievements of the more than 850 Nobel laureates since the Prize’s founding, going back to recipients like Albert Einstein and Marie Curie, have created a brand with an iconic status and reputation around the world. Urde: Another unique aspect of the Nobel Prize is that it is a collaborative endeavor where each of four independent institutional partners contribute value to the common purpose and common symbol. So, the Karolinska Institutet is responsible for the prize in physiology and medicine. The Royal Swedish Academy of Sciences selects laureates for chemistry, physics, and more recently, economic sciences. The Swedish Academy focuses on literature, while the Norwegian Nobel Committee is concerned with the Peace Prize. Without the common purpose provided by the overriding watchwords “for the benefit of mankind,” I think it would be very difficult to shepherd these four independent institutions, with their different areas of expertise. But with it, they all know what they need to do and at the end of the nomination and selection process, they come together effectively. It’s important to note that when the work is being done, they all do it in “water tight compartments,” as they like to say. Until the awards are announced in October, none of the four institutions knows whom the other institutions have chosen. Greyser: Given this arrangement, we call this a “network brand.” What we heard frequently during our research was that “We are [like] a small federative republic.” That led us to ask, “So what’s your constitution?” The answer was always Alfred Nobel’s last will and testament and his overriding desire to benefit mankind. That sprang from an odd incident in 1888, when a French newspaper wrongly reported his death instead of his brother’s under the headline “The merchant of death is dead.” Remember that Alfred Nobel was the inventor of, among other things, dynamite. With the funding of the group of Nobel Prizes, he wanted to leave a more beneficent legacy when he actually did pass away. How do you keep a heritage brand fresh? Urde: For the Nobel Prize, the Nobel network has an outreach strategy that involves a number of initiatives, beginning with a new web site several years ago and an emphasis on the use of social media. They’ve also created the Nobel Museum and the Nobel Peace Center, which are attractions for many visitors. In addition, as part of the week of activities leading up to the December 10 acceptance ceremony, there is now something called Nobel Week Dialogue, a one-day event that brings together some of the world’s leading scientists and policy makers for a series of discussions on a chosen theme. This is streamed to an audience around the globe. 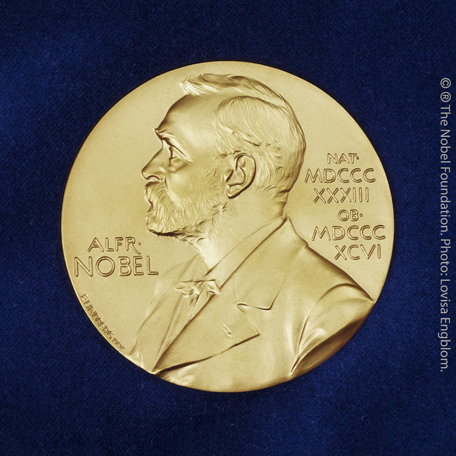 What’s one piece of advice you would give to those at the center of the Nobel Prize network? Greyser: Constantly be on guard against anything that may harm the reputation of the Prize, such as tainted research. The committees at the four entities responsible for selecting the laureates in various fields must never waver from their rigor in vetting years of research done by each short-listed nominee. At the same time, respect for tradition must go hand in hand with a commitment to innovation, as the Nobel’s outreach efforts continue to successfully move the Prize further into the 21st century. An example is that the Peace Prize has incorporated the environment into their criteria. Urde: I agree. A major challenge is how they will respond to the wants and needs of the market, how they will find a balance between what is wanted by the market and what their longstanding guiding principles are. That tension is a challenge not only for the Nobel Prize but for organizations in general. Greyser: Any wise organization, be it in business, government, or the nonprofit sector, can never stop looking at how it got to where it is, but more important, at how it can stay strong and improve in the future.